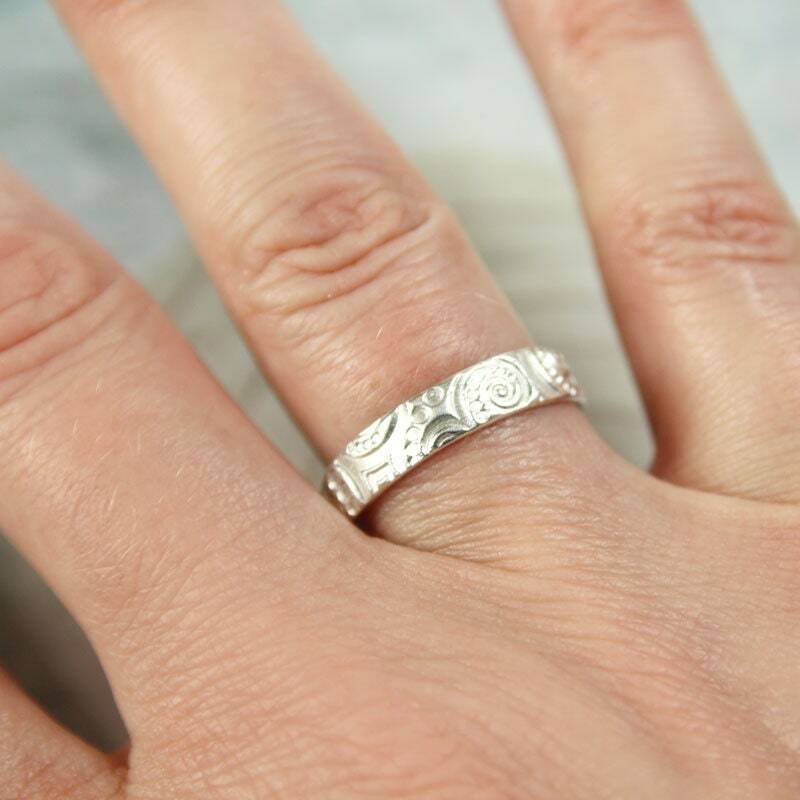 Art nouveau style alternative wedding ring in recycled silver. 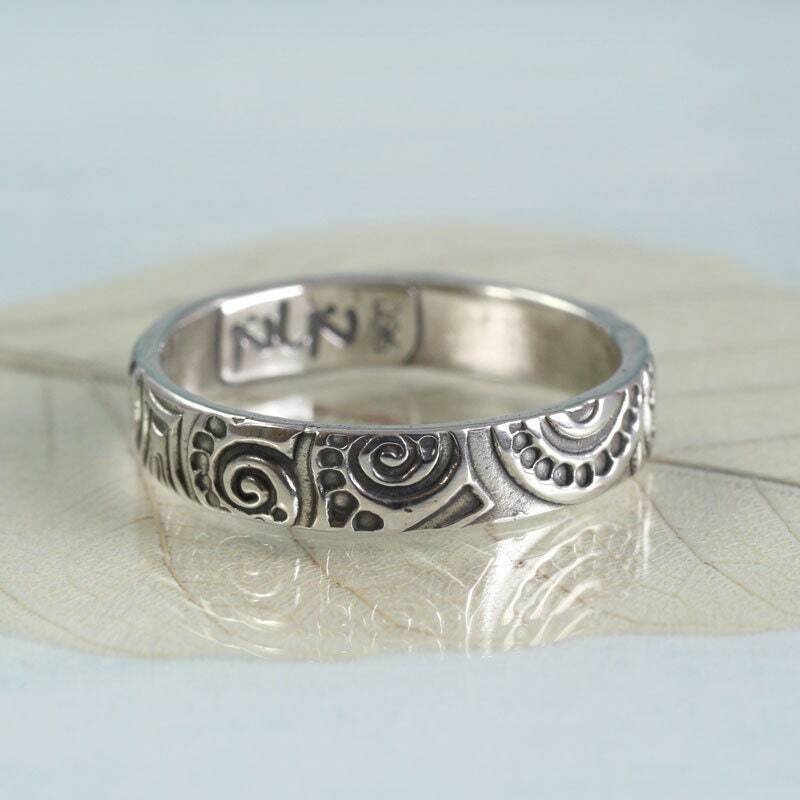 Recycled sterling silver, forged into a unique ring to decorate your lovely hand. 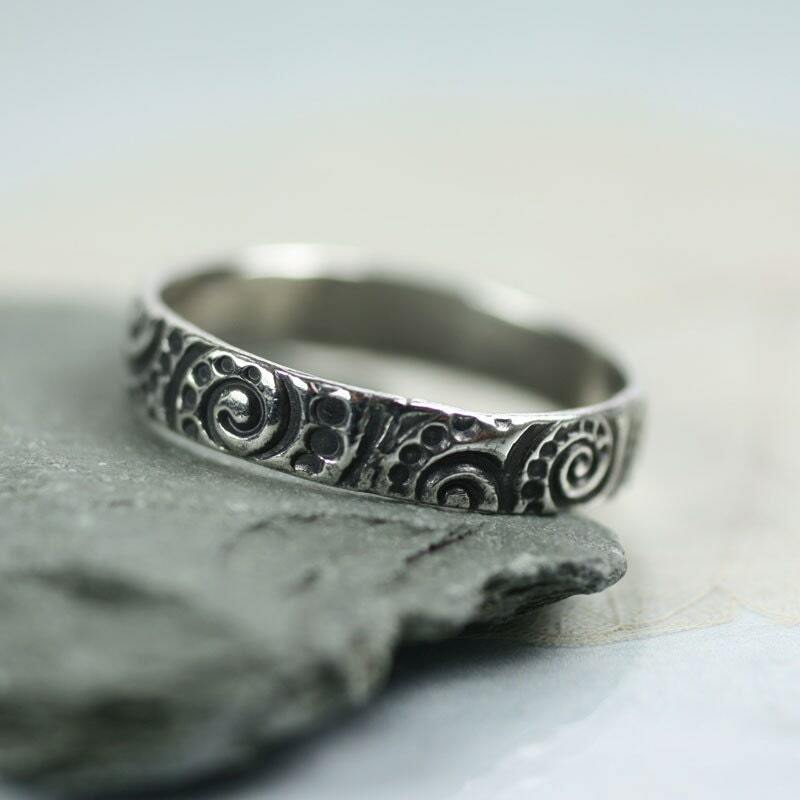 This is a delicate silver band with an intricate texture of spirals and dots in the Art Nouveau style, also very reminiscent of Celtic spiral patterns. It has an organic look and each one will be unique - Hurrah for handmade. 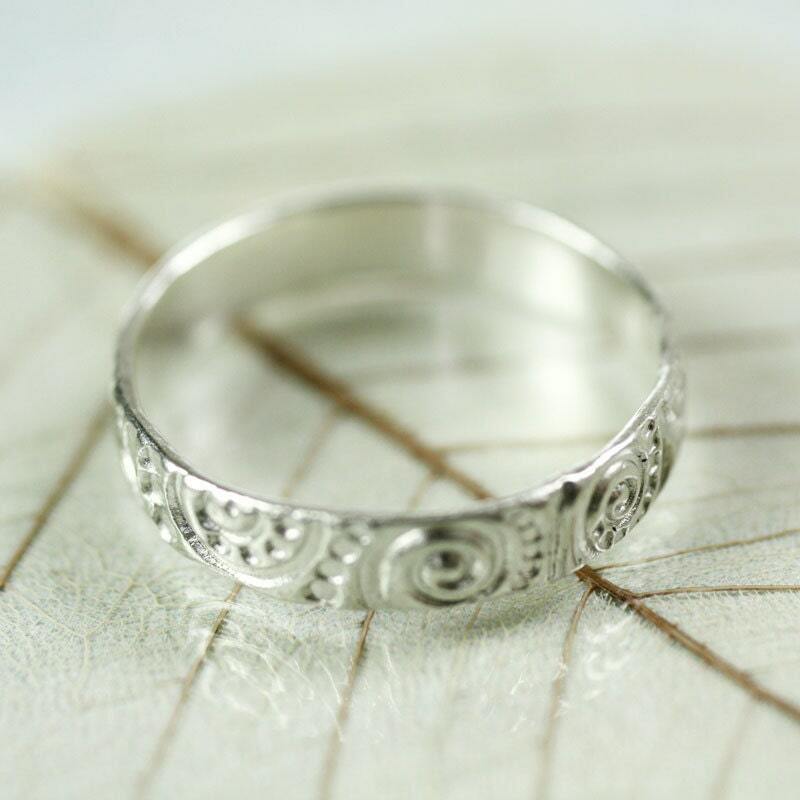 spirals have been used since ancient times in jewellery. 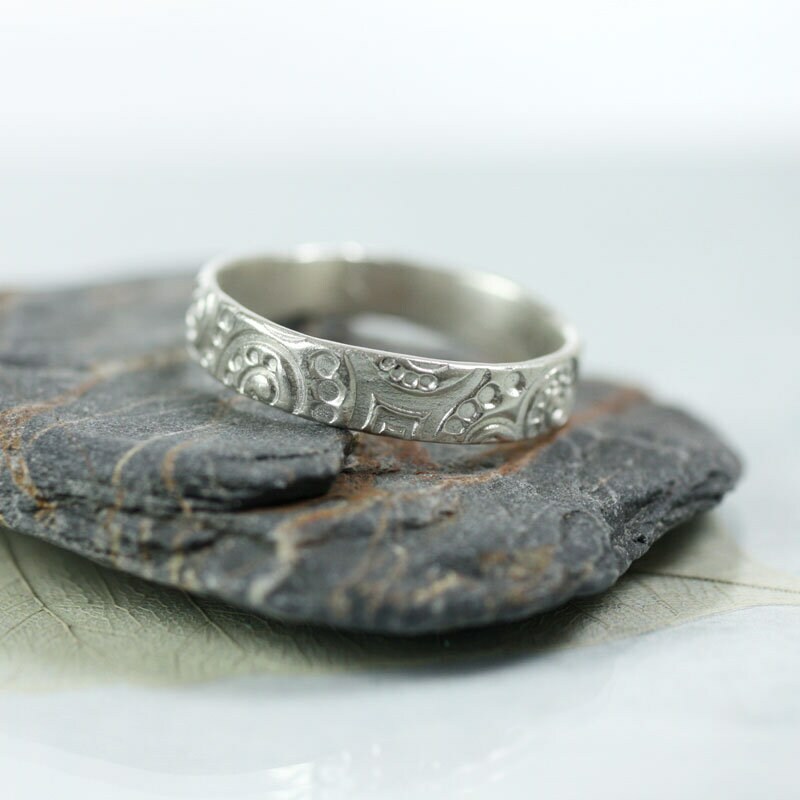 They symbolise renewal, eternity and the cycle of life. Here they look like ferns unfolding and the pattern is brought out by the patina. 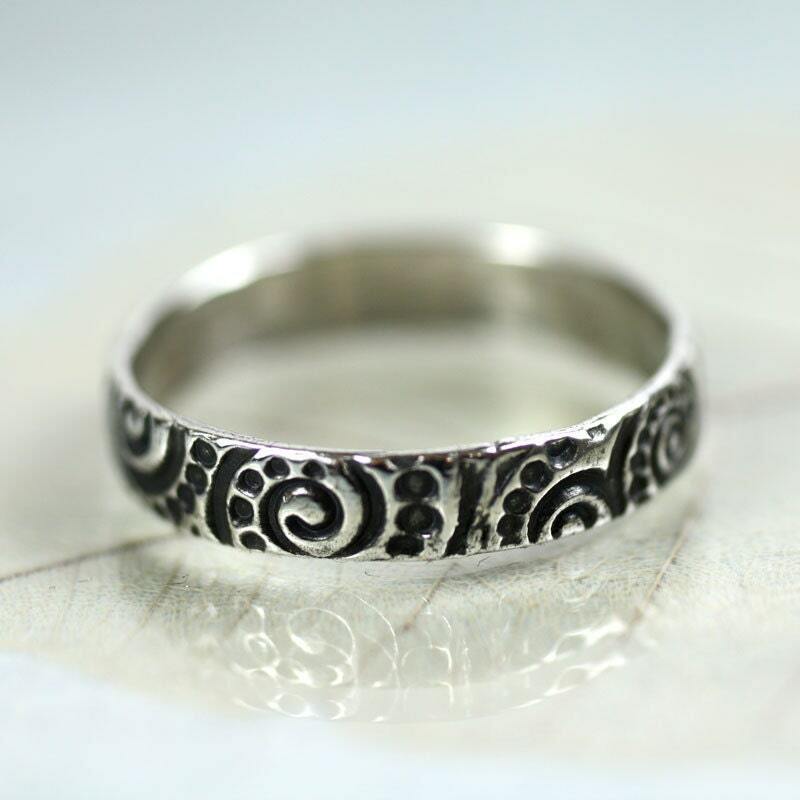 You can also have the ring in bright silver if you prefer. Both versions can be found in the photos. 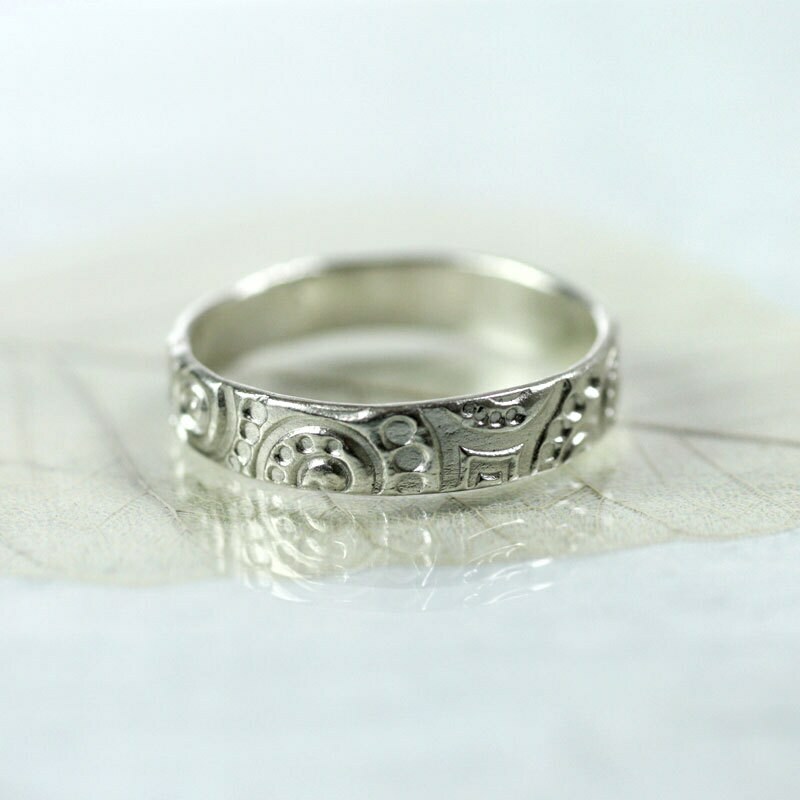 It is recycled silver - extracted from photographic films and liquids, so this is a truly ethical choice. 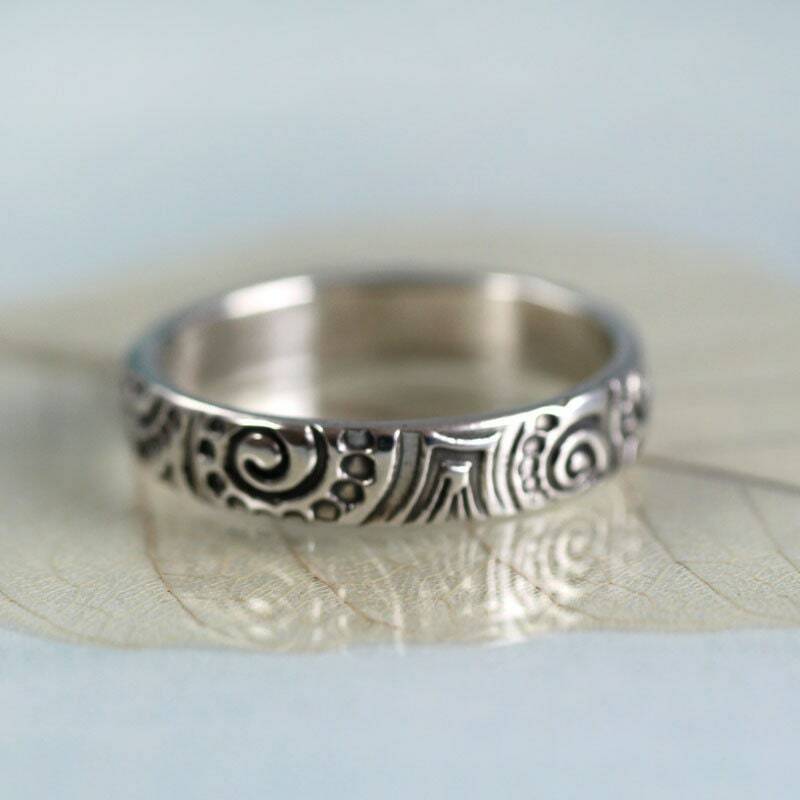 A really unique and impressive ring. Thank you for working with me, Nana! Just like my last purchase : lovely ring, fits perfectly, arrived before I expected it, and the gift box is adorable. 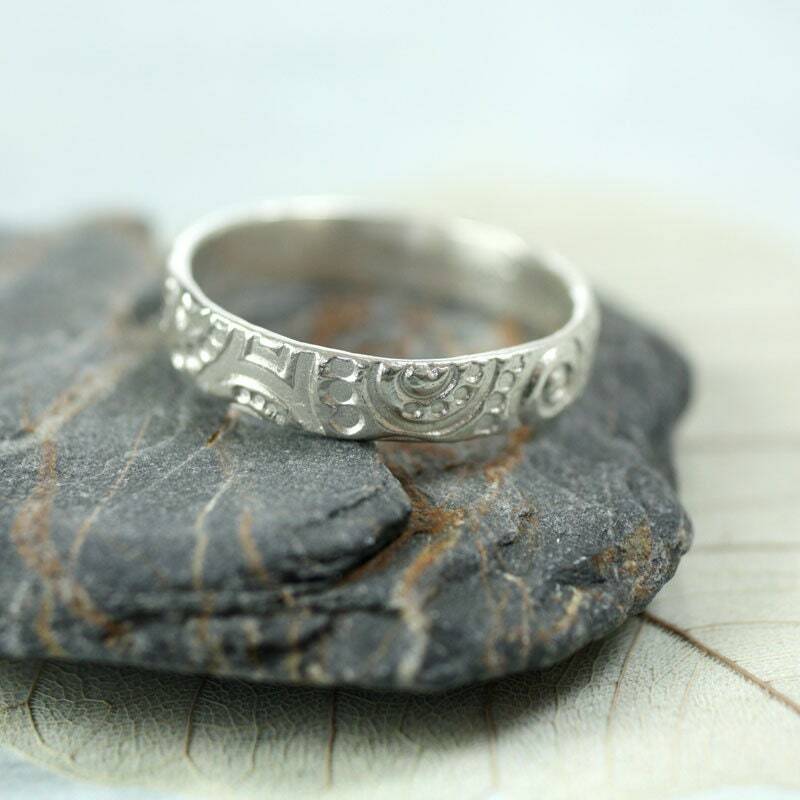 This ring arrived really quick and nicely presented,I was so pleased with how gorgeous it is, I ordered another ring from the same seller that day!